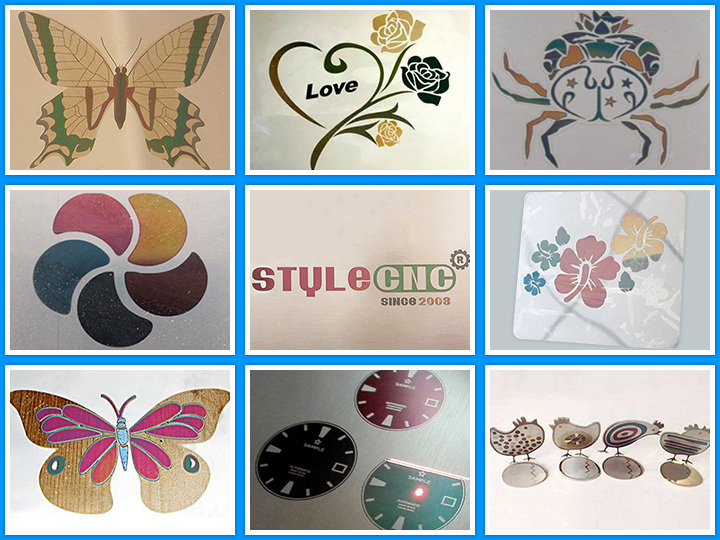 STYLECNC has focused on Laser marking machine industry for many years, has rich experience of laser marking. Today we will explore how the Fiber laser marking machine mark the different colors in stainless steel. 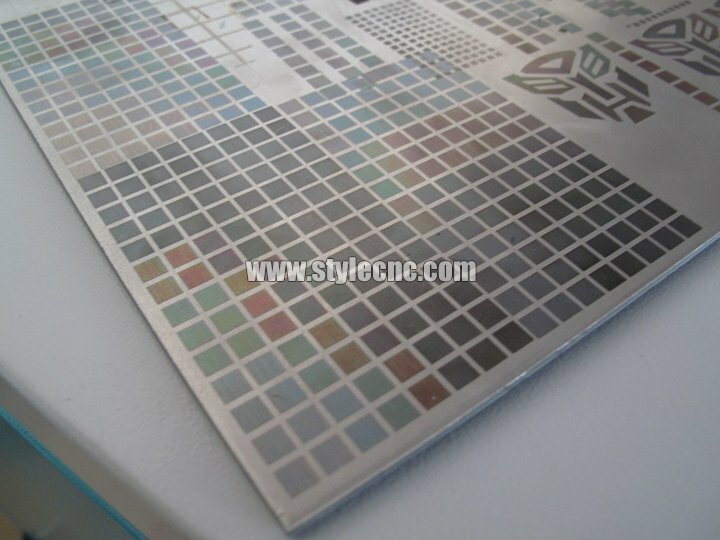 We should know that there are 3 different ways to make the stainless steel coloration. Second, By the chemical, electro chemical or under the action of laser, a thin layer of colorless transparent film are generated on the surface of stainless steel, The oxide film thickness by precisely controlled. Because of diffraction effects, oxide films of different thicknesses can be presented in different colors. Third, In the presence of a mixed state of colored oxide and oxide film. Orange-red-purple-blue-green blue-blue green-green-yellow green -yellow-orange-red. So you can mark anything you want, such as photos, text, etc. It is very easy and environmental protection without pollution, high marking speed, for the stainless steel industry, the color laser marking machine can huge improve stainless steel products value-added. Enhance the international competitiveness of stainless steel products. 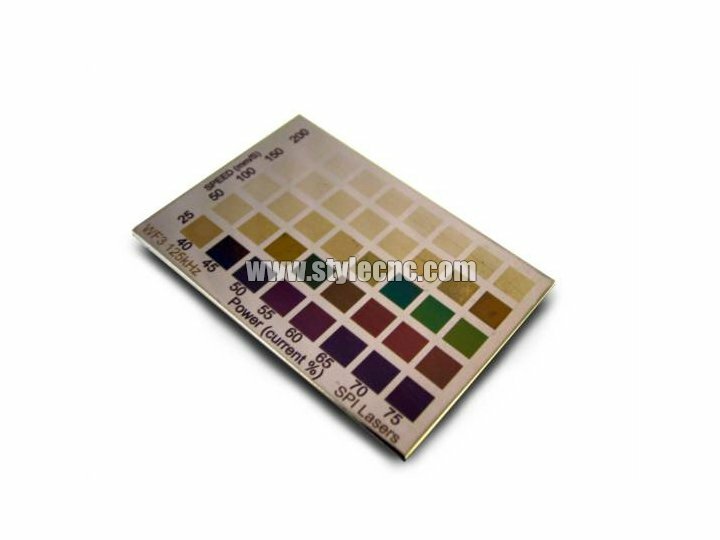 License: The text of "How to mark the different colors on stainless steel by fiber laser marking machine?" by STYLECNC is licensed under a Creative Commons Attribution 4.0 International License. • Previous: Why you need one intelligent panel furniture production line? What you should know before buying a laser marking machine?